OR £11.53 per week 0% APR ? 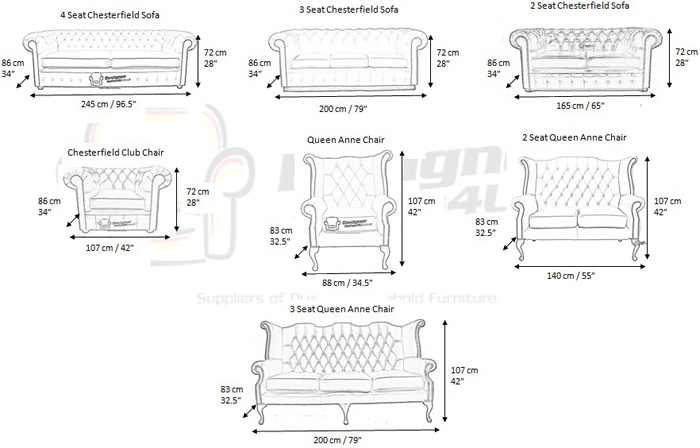 The Classic 1 Seater English Chesterfield low back style. Deep buttoned arms and back complemented with a double buttoned front border. The scroll fronted arms are attractively embellished with lines of individual stud nails with a matching Queen Anne Footstool An undoubted winner in any room from the cottage to the boardroom. A classic of its kind. Vintage British. I am extremely pleased with my new Chesterfield Low Back Armchair and Footstool. I really liked the scroll fronted, stud nail embellished arms. I placed the order immediately as the Sale was on, price was absolutely amazing and I had no second thoughts about placing the order. I was delighted with the great customer service and the delivery men really helped me with getting it in place and made sure I was satisfied with the product. I bought this sofa to replace an older one that I bought about a year back and now it looked like it was at least 10 years old! My friend suggested about desig­ner­sofas4u.­co.­uk and showed me her 3 years old sofa she bought from here which is still 10 times better than mine!